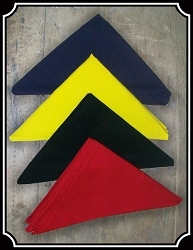 Made with real Pesos, this Bandana Slide keeps your bandana right where you want it - Measures 1 1/4". 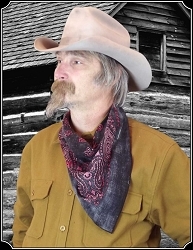 The multi-purpose big 33" by 33" by 46" cotton bandana is an absolute necessity for any Cowboy ~ assortment of solids, checks, calico prints. 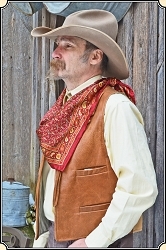 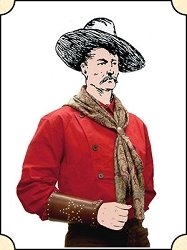 You will be ready to hit the trail with this Pure silk 33" x 33" square Cowboy Wild Rag in Black or Red. 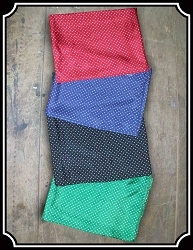 Grab your wild rag and hit the trail, these pure silk 35" x 35" square kerchiefs in Red, Blue, Green or Black. 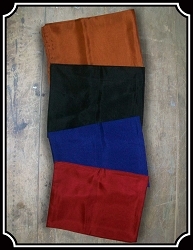 Pure silk 35" x 35" square Wild Rags in a wide variety of colors. 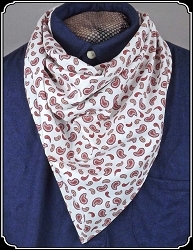 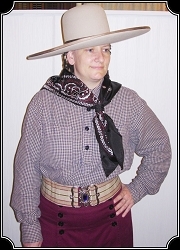 Don't be without your Cowboy Bandana at your next event. 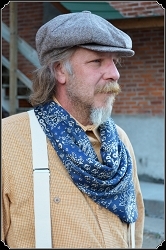 Get your hands on one of these Pure silk 35" by 35" square Wild Rags, in your choice of different patterns and colors. 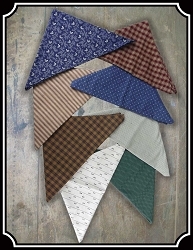 Every Cowboy needs a neckerchief so take a look at our assortment of checks, calicos, stripes and polka dots.